A chain of possibilities: Looking into the future of Linfinity, the token industry, and Blockchain technology - I am a thinker, strategist, marketer, leader, innovator, visionary, opportunist, networker and the go-person for your business. 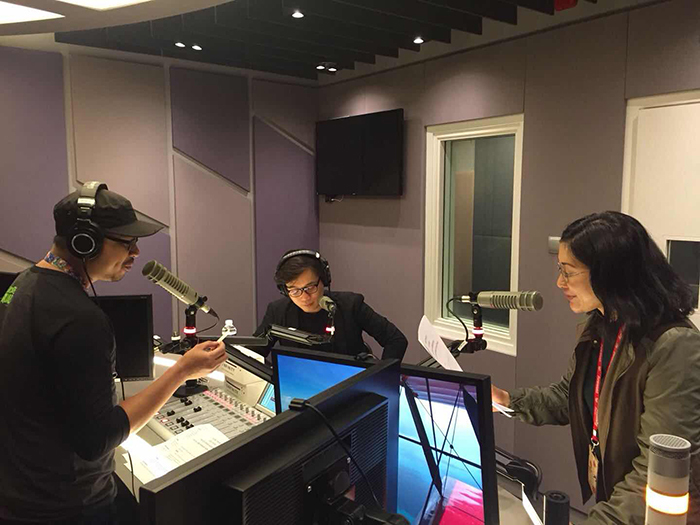 Recently, Linfinity CEO Anndy Lian has been invited to an exclusive interview with Singapore Radio MONEY FM 89.3. He put forward a series of unique viewpoints on the development of blockchain, blockchain technology and the application of blockchain in supply chain industry. The hype of cryptocurrency and blockchain has not died down ever since the Bitcoin craze in 2017, driving Bitcoin’s value up over 1000%. If anything, the industry and public interest in it is steadily growing, as many are drawn into what they see as an opportunity to catch the wave and get rich. At the same time, it is because of this very hype, linked to poor understanding among the public, that many have been duped by cryptocurrency scams. This ultimately adds distrust, as well as disinterest amongst many towards the technology altogether. Linfinity, a Singapore based platform which aims to graft blockchain’s technology into the supply industry just listed its own token onto Hong Kong based exchange CoinEx on 14 July. The primary goal of the company however lies not in the concept of trading, earning, and growing its token value but rather, to eradicate cases of counterfeiting and fake goods from the supply chain industry. How can blockchain achieve this? The two defining features of blockchain lies in being tamper proof as well as traceable. This means that with the incorporation of blockchain technology, all information of a supply chain, from merchant, to middleman, to consumer, is recorded and made traceable. The information can only be added on and cannot be deleted nor edited, making it so that all information on the chain to be true and accurate. More importantly, the system is decentralized, meaning that each party has access to the information, rather than having the information gathered in one location, making the system harder to break into and hack collectively. If implemented properly, this is a huge step of progress for the supply chain business. Previously without blockchain technology, links within a supply chain were complex and not easily available to parties involved, especially to the consumers. As such, in a traditional chain system, the structure is vulnerable to hacking attacks where details such as production date, or the origin of the good may be altered. This naturally leads to the rampant case of false goods being distributed to the public – a serious problem. “The introduction of Linfinity will gradually lead to the disappearance of fake goods. Of this I am confident” said Anndy Lian, CEO of Linfinity, in his recent interview with MoneyFM. “The traditional physical anti-counterfeiting method is to confirm authenticity by scanning two-dimensional codes [which can be] easily copied and forged by counterfeiters” he says. “With the distributed characteristics of the blockchain, we can create our own unique certification mark and you can track and verify all the information your product upon scanning your special code”. Linking back to the opening paragraph, Lian also spoke briefly on the misconception surrounding blockchain, and why people automatically equate the technology with cryptocurrency. “The misunderstanding of the blockchain mainly comes from people’s ignorance of it” he said. There is therefore a need to educate the public on the nature of this technology, and to understand its distinction and relation to cryptocurrency. As it is, Linfinity is only focusing on the development and progression of blockchain technology and does not intend to carry out ICO financing. “Blockchain technology is not just a money game where people can sit back and not do actual work. Those who still believe in that living in a bubble” Lian said. “The sooner everyone realizes this as a fact, the better” he added. To date, Linfinity has launched its roundtable talk series, visiting Korea and Japan so far and will be moving out of Asia for their next stop, hosting it in UK. In efforts to spread the growth of blockchain technology, the company has also signed over 8 Memorandum of Understandings (MOUs) with various large companies, including RONGDE logistics, WealthBriefing Asia, as well as Alishan Group in Taiwan. More prominently, Linfinity was part of the Asian Blockchain Summit (ABS) in Taiwan from 2-3rd July 2018. The event remains as one of the world’s most prolific blockchain summits to date, with over 8,000 participants comprising of blockchain enthusiasts, professionals, and political representatives. At the summit, Lian, along with other industry leaders gathered to discuss and analyze the industry ecology, as well as educate the public about the deeper implications and users of blockchain. The introduction of blockchain technology into our everyday lives has become an issue of ‘when’ rather than ‘how’ and Lian believes that this direction is the right way into the future: “Technology is progressing every day to make things safer, faster, and easier. As with all new tech, it may get some time to get used to, and we at Linfinity will try our best to educate everyone from industry leaders to the public about these shifts. Those who are unable to catch this wave will inevitably be left behind”. The internet must have been confusing to everybody in the 1980’s, just as how blockchain may seem foreign and dangerous to many who are unfamiliar with it. Yet, no proof is needed today to justify that the internet has become an integral part of our lives. Similarly, it is only a matter of time before blockchain becomes an inherent facet of our day to day functions. Ultimately, Linfinity plans to serve as an industrial and social bridge, developing solutions to help businesses in varying industries grow and survive while embracing new technologies. The journey ahead might be long and tough but we have to start somewhere, and Linfinity is here to help you do just that. MONEY FM 89.3 is an English-language radio station owned by Singapore’s SPH Radio, focusing on business and money-related topics. Its parent company, Singapore Press Holdings (SPH), is one of the leading media agencies in Southeast Asia. Founded in 1984 to provide multilingual news, SPH is a leading company in the media industry in Singapore.